Did you know that diapers are not covered by WIC or Food Stamps? We know there is a need to increase the availability of clean diapers so babies can be changed more often. I Diaper Tulsa decided to do something about it and the Carter and Higgins team is so excited to help out. Let’s help out the babies and families of Tulsa. Bring you donations to Carter and Higgins Orthodontics all this week and we will trade you diapers for a fun color change water bottle. Win win! 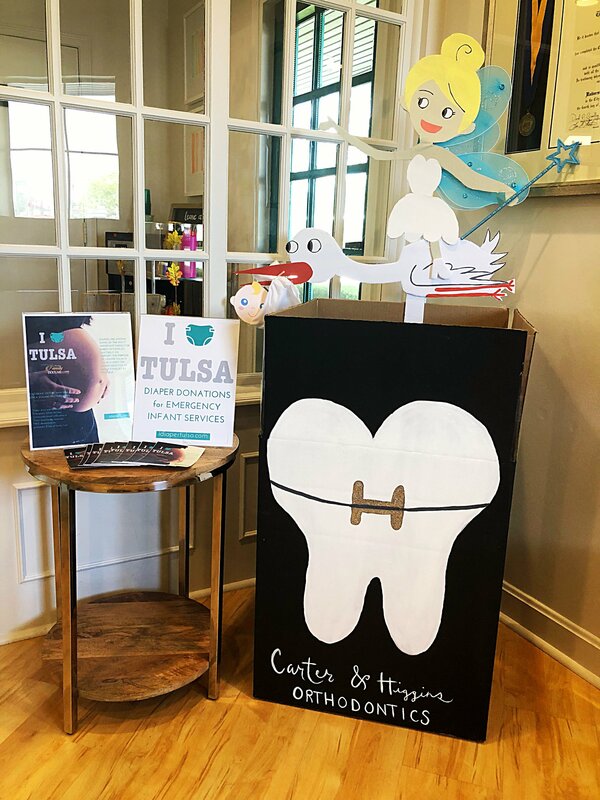 Dr. Carter and Dr. Higgins will also be at Pottery Barn this weekend (October 27th 11 am – 3pm) taking part in all sorts of informative and fun community events that benefit Emergency Infant Services of Tulsa. 100% of the proceeds from I Diaper Tulsa go to Emergency Infant Services right here in Tulsa. Your donation allows more babies access to clean diapers, something we probably don’t even think about on a day to day basis. We want to provide tangible solutions for our community of families in need.